This amazing glycerin based soap is designed to help scrub dirty greasy hands clean after a day in the garage or working in the garden. The mild scrubbing action will help clean your hands without stripping the first layer of skin of off them. It's also really great for heels, knees, and elbows!! 🍃🍃 Sweet Oragne Essential Oil is a powerful degreaser. Think Orange Glow and Goo Gone. The fresh burst of citrus is bright and lively. 🌿🌿 Shea butter is said to help with reducing redness, protecting skin, regenerating cells, and healing wounds. It's occlusive so the polyphenols, oleic fatty acid, stearic fatty acids help moisturize. Oleic fatty acid makes it anti-inflammatory. 🍃🍃 Pumice is fine ground lava stone. It creates a mild exfoliation, and is not scratchy, harsh, or abrasive. It's also spiked with dried orange peel for an extra scrubbing oomph. 🌿🌿 Vegetable glycerin in a humectant that draws moisture to your skin and helps soften. 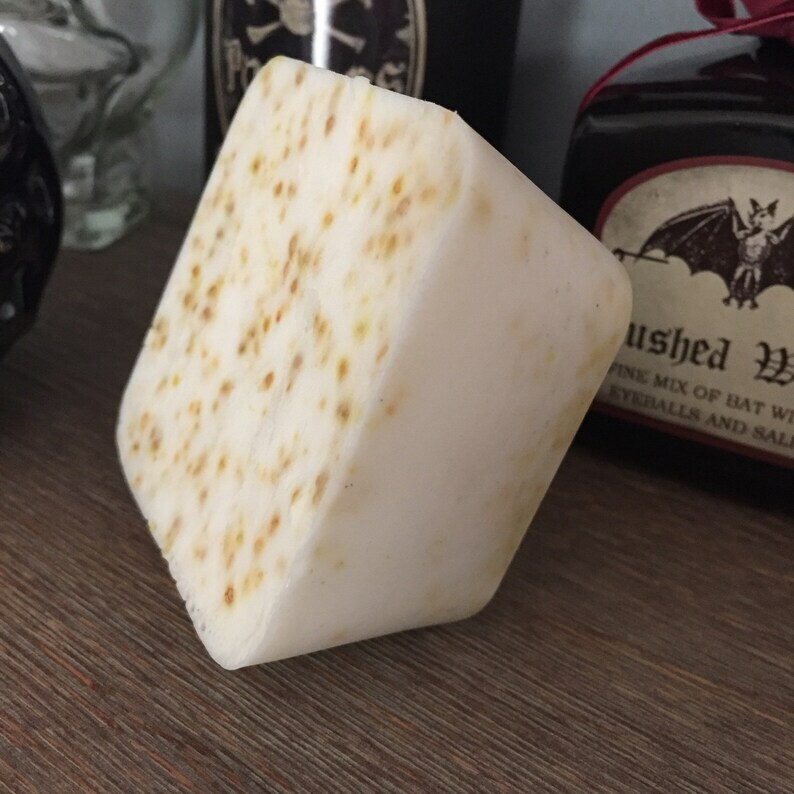 This is a 'melt and pour' soap base.